The Justice Ministry’s new Director General of Historical Memory, Fernando Martínez López, announced Wednesday that the ministry has reached agreement with all Spain’s 17 autonomous communities and the North African enclave of Ceuta to coordinate the nationwide mapping of all graves of victims of the Spanish Civil War and the subsequent repression of opponents carried out under the 1939-75 regime of Spanish dictator Francisco Franco. Cautioning that funding for the project will require passage of the central government’s 2019 budget, which the administration of President Pedro Sánchez has pledged to present to Congress by November, Martínez López said that the government hopes to accompany the plan to map all gravesites nationwide with creation of a national DNA database to help family members identify and recover the remains of victims of the repression. Martínez López said the mapping of Civil War and Franco-era common graves will start with the amalgamation of ongoing work of regional and local government authorities in order to create a four-year plan for coordinating the process of opening the graves and exhuming the remains of victims. He said the Justice ministry also plans to develop a “census of victims” and a list of buildings that were constructed in the years following the Civil War by disciplinary battalions and prisoners of war, including the Valle de los Caidos (Valley of the Fallen) mausoleum complex outside Madrid, where Franco’s remains have been buried since 1975 and are pending removal under a decreto ley (decreed law) pushed through Congress by the Sánchez government last week. 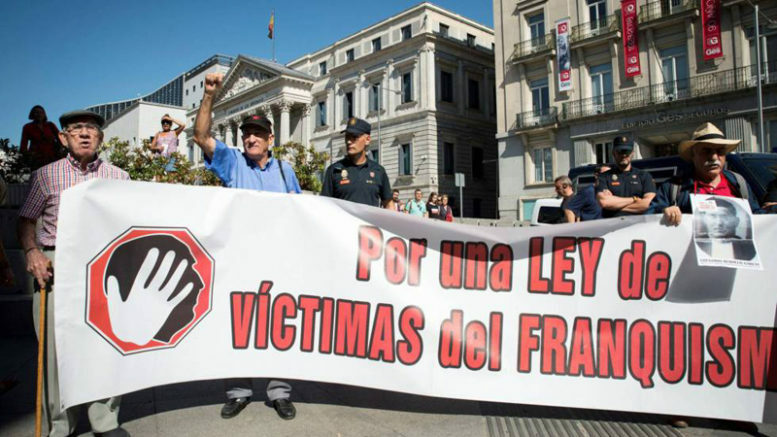 At the same time, Martínez López said the Justice ministry is to begin working with regional and local governments to develop a complete list of all street signs, commemorative plaques and monuments across Spain that still retain symbolism of the Franco regime in contravention of Spain’s 2007 Law of Historical Memory.